I would never endorse Martha Stewart’s idea that food needs to be prepared in 15 minutes or less or else it’s a waste of time – after all, there are many great dishes that require more attention than TV advertisers might prefer but I admit to cutting a few corners when time is of the essence – I usually prepare our bag lunches a day early and since I routinely get home after 9 PM, there is little time to slice and dice – so I resort to a number of shortcuts to make things easier but still appetizing. This means that I often store frozen vegetables, individually packed fish fillets, canned beans and the like so I can get things going more quickly. I might not always clock things at 15 minutes or less, but the overall result is usually positive – Renata hasn’t complained that a dish has bad taste as of yet. One of the key things about being able to get the results I need is basically planning. When the week begins, I look at my pantry and to see what I have in store (there’s always that can of tuna or frozen mixed vegetables you forgot about) and start thinking what I can do with them. After that, I plan the menu for the entire week and go to a supermarket to get the remaining ingredients I need. After that, it’s just making the dishes in the simplest way possible. 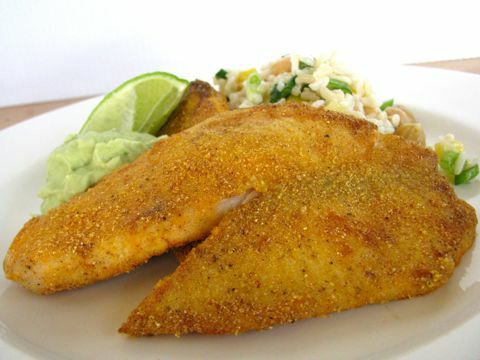 One staple here at home is cornmeal-encrusted fried fish fillets served over rice and beans – something simple, quick and satisfying that only takes a few minutes to prepare. Oil for frying and 1 tsp. olive oil, separated. Bring 2 ½ cups of water to a boil and add 1 tsp. olive oil. 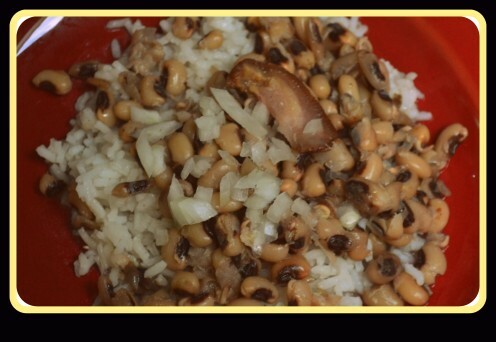 Add the rice (do not use salt since Spanish rice is already seasoned) and beans. Cook in low heat until rice is soft. Add the coconut milk, remove from heat and cover for 5-6 minutes before serving. In the meantime, mix the cornmeal and the seasonings and coat the fish. Fry the fish, adding some remaining cornmeal to fish if needed after turning it around, about 3-4 minutes on each side. Serve fish over rice and beans mixture. Garnish with a quarter lime to squeeze over fish.